Resveratrol is a naturally occurring plant-based polyphenol that is found in the skin of some berries‚ grapes‚ and peanuts. It supports the normal aging process by helping to prevent the free radical damage that can lead to the premature aging of cells. It may play important roles in supporting normal cardiovascular and mitochondrial function, and could also support sustained muscle function and reduce muscle fatigue. It works as an antioxidant by reducing the oxidation of LDL (bad cholesterol) and preventing platelet aggregation. This minimizes the risk of blood clots in the cardiovascular system‚ which can help prevent more serious heart conditions. Resveratrol might also help increase the levels of HDL (“good”) cholesterol in the body‚ which is important for maintaining a vital circulatory balance. It could also help the body avoid the damage caused by the oxidative processes that occur during metabolic reactions and thereby promote cellular health. 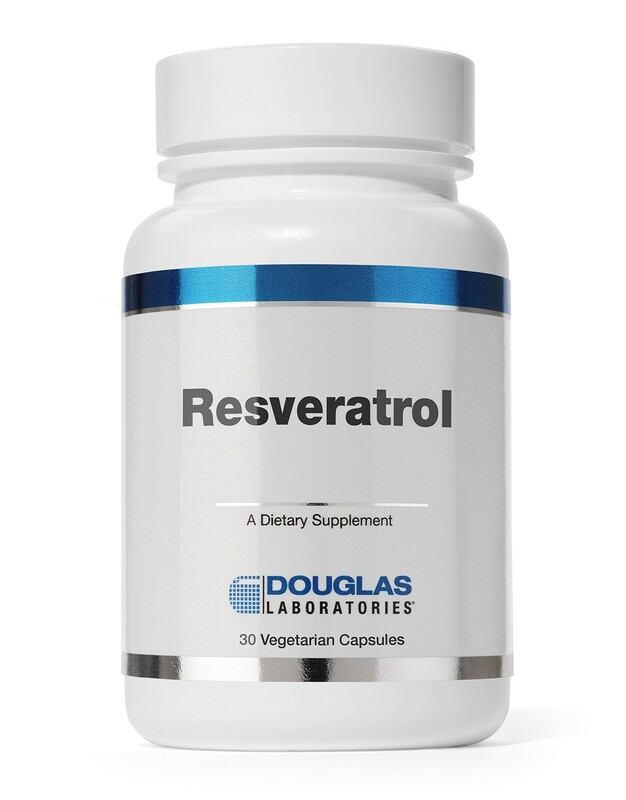 Douglas Laboratory Resveratrol Vegetarian Capsules contain 200 mg of resveratrol in the form of Resvida™ trans-resveratrol. Resvida is unique among resveratrol-containing ingredients because it is not a plant extract, which means that it is not contaminated with pesticides or other potentially unwanted compounds. The safety of Resvida has been confirmed clinically. 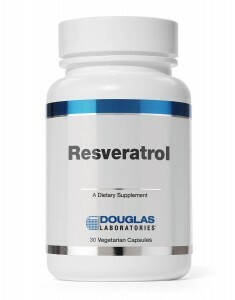 Make Resveratrol 30 Capsules from Douglas Labs part of your heart-healthy lifestyle today. Get free same-day shipping when you place your order by 5 PM EST. As a dietary supplement; adults should take one capsule daily with a meal or as directed by a healthcare professional. Other ingredients: Cellulose (capsule), microcrystalline cellulose, vegetable stearate, silica, and titanium dioxide. This product contains NO yeast, wheat gluten, soy protein, milk/dairy, corn, sodium, sugar, starch, artificial preservatives, or flavorings. For optimal storage conditions, keep in a cool, dry place.